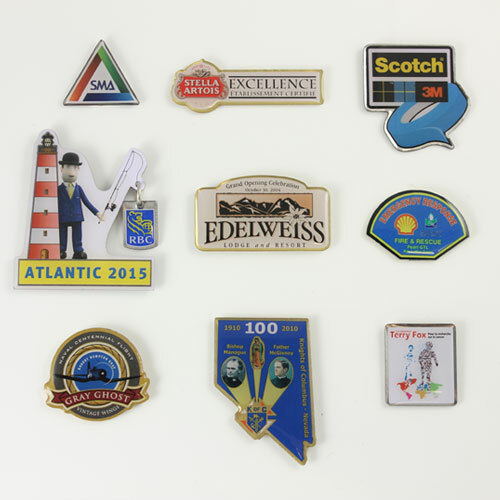 "For Full color designs true to the original colors, we recommend offset printed pins." Typically a solid white background is printed followed by a 4 colour print from your original artwork. Very simple, no hassles with our BBB A+ rating. Discover why International Coats of Arms Offset Pins are the best choice for many people. International Coats of Arms Offset Pins offer the best pricing for Custom Lapel Pins. They are among the Lowest Price of all our pin types! True full color magazine (CMYK) quality that is faithfully true to the original design. International Coats of Arms Custom Offset Lapel Pins have a smooth printed finish - an epoxy dome is recommended to protect the finished piece. No need for a gold border between colors and Printed words in your exact fonts/styles. International Coats of Arms offers Industry standard CMYK color matching. Available in any shape and individually poly-bagged. How Are Offset Printed Pins Made? To make Offset Printed Lapel Pins, your artwork is used to produce a color separation for each color. Then a printing plate is made for each color. Each color plate is then printed onto the metal, and dried in an oven before printing the next color. The pins are then cut out of the metal according to your design. Strongly recommended for an offset printed pin is an optional epoxy protective coating (dome) to protect the color enamels from fading or cracking over time.